The 40th Annual Meeting of the Northwest Atlantic Fisheries Organization (NAFO) took place from 17-21 September in Tallinn, Estonia. Delegates from the 12 NAFO Contracting Parties were welcomed to Estonia by the NAFO President, Stéphane Artano, and the Honourable Siim Kiisler, Minister of the Environment of Estonia. Contracting Parties were also welcomed by the Director-General for Maritime Affairs and Fisheries from the European Commission, Mr. João Aguiar Machado, later in the week. At the meeting, NAFO accepted the Performance Review Panel Report and its 36 recommendations to further improve its functioning. This second comprehensive Review addressed conservation and management; compliance and enforcement; governance; science; international cooperation; and financial and administrative issues. NAFO also established a working group to develop an action plan to address all the recommendations. A copy of NAFO’s Performance Review Report and its recommendations can be found on the NAFO website (https://www.nafo.int). 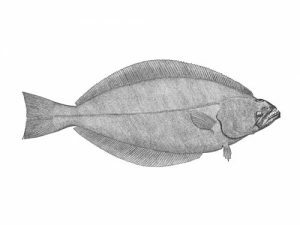 • NAFO adopted an exceptional circumstances protocol for NAFO’s Greenland halibut management strategy evaluation. • NAFO continued its commitment to the conservation of marine biodiversity in NAFO waters by implementing measures to prohibit the directed fishing of Greenland shark and for Contracting Parties to report on efforts to minimize incidental catches and mortalities. • NAFO adopted a comprehensive revision to the NAFO Observer Program to enhance the quality of data being collected by NAFO observers. • NAFO agreed to a schedule for the management strategy evaluation (MSE) plan for cod in the Flemish Cap (Division 3M), including setting a Harvest Control Rule (HCR) for the stock, for the next Annual Meeting. • NAFO continued its efforts towards further developing its ecosystem approach to fisheries management by requesting that the NAFO Scientific Council develop a 3 to 5 year workplan to ensure its prioritization and support.